LinkedIn's nagging automated requests to endorse others' skills are too generic to be useful to anyone. You're better served by staying in personal touch with your network. Have you noticed that every time you log into LinkedIn now it keeps pestering you to endorse the skills and knowledge of your network? It's another classic case of LinkedIn trying to abdicate the care and nurturing of your relationships to technology -- and it doesn't work. I've been a LinkedIn Business Pro user for several years and have written extensively about all that's positive about the site's focus to become the prevailing professional social networking platform. But when you have a hammer, you begin to treat every challenge or an opportunity as a nail. 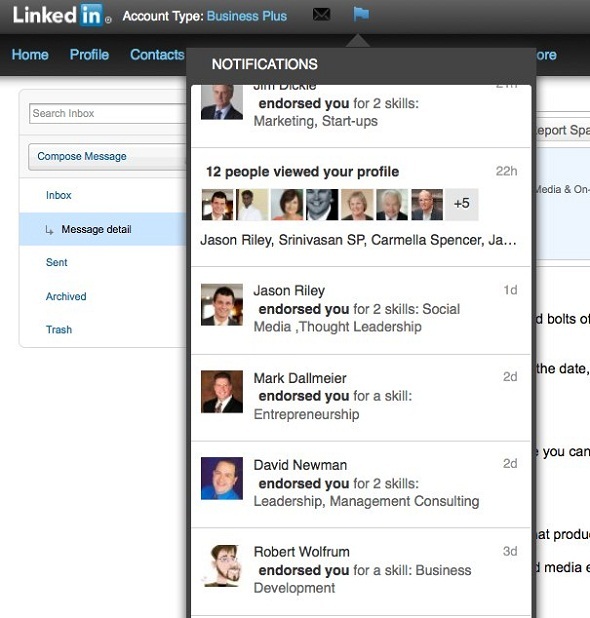 LinkedIn launched Skills and Knowledge as a functionality that few knew about, much less paid attention to or used. After all, shouldn't you be able to ascertain my skills or knowledge from my bio, background, experiences, education and recommendations? Let's say I worked with Steve on a social media strategy-consulting project and am aware of his specific skills or knowledge around an influencer campaign. But what LinkedIn keeps prompting me to endorse is his graphic design skills, which I wasn't privy to in our work together and not really relevant to the context of our relationship. Does that mean that I don't have a relationship with Steve or can't endorse a skill or knowledge of his? No. It simply means that LinkedIn is taking our relationship out of context. Can I keep scrolling for his other skills? Sure, but who has the time or patience? Let's further say that Steve did a decent job on the above consulting engagement, but there were some areas where I thought he should have been more knowledgeable or competent. There is no way to rate the degrees of his competency or recommend areas for Steve to grow professionally in this area. Any competency metric I've always seen or have found effective gives you a range, such as a 1 to 10 or 4 out of 5 stars. Did I work with Steve only once and experience his skills or knowledge in a very limited scope, or have we worked together on multiple projects, allowing me to see him deliver results across a spectrum of challenging scenarios? Anyone who has ever endorsed someone else knows that not all endorsements are created equal. There is no way for me to comment on each endorsement or give it more credence or credibility as to the frequency of our interactions. Are these the endorsements you really want? -- I feel guilty for all these people and their skills that pop up that I have no idea they were capable of (am I the only one who keeps asking "seriously?" to many of these skills or knowledge?) Does that mean I don't really know them that well or have a strong enough relationship with them to be connected on LinkedIn? Or that they've done a poor job in branding themselves for me to realize that particular knowledge or skill was a part of their repertoire?